We were asked by Hazelvine to upgrade the existing playground. We removed the old equipment, installed a Toddler Town in Recycled Plastic, along with a Springer. 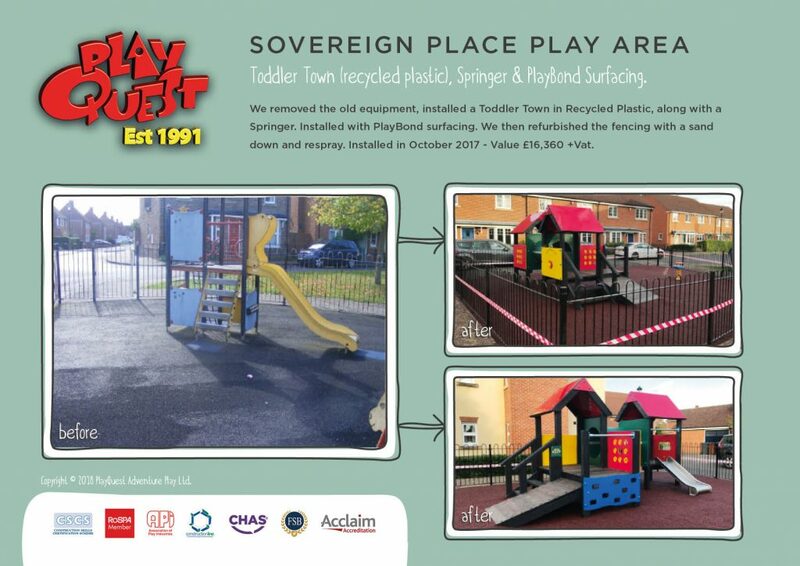 Installed with PlayBond surfacing. We then refurbished the fencing with a sand down and respray.